Wanderlust is proud to participate in seva days—days encouraging staff to participate in selfless service. 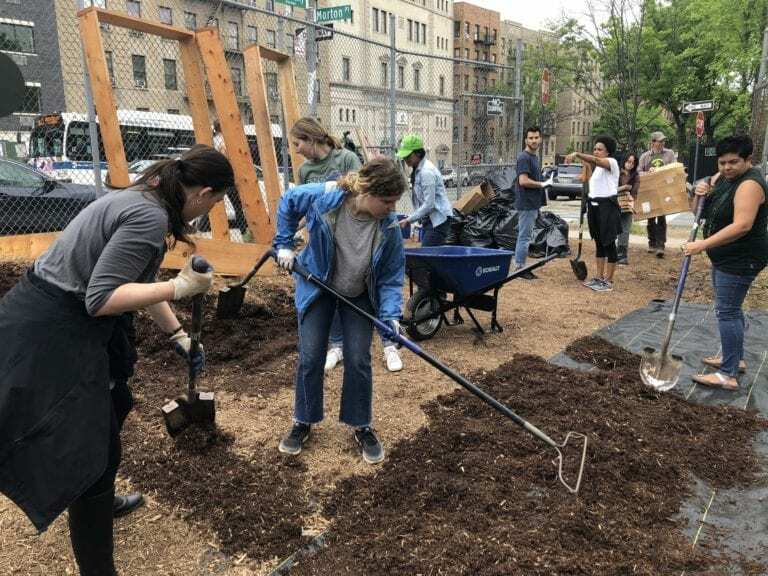 This spring, we got our hands dirty. We believe that companies can commit to a higher standard for ourselves, our community, and our planet, and are proud to join the revolutionary and growing community of Certified B Corporations. Learn more about our B Corp certification here. Want to deepen your understanding of seva or learn more about creating an ethical business? Join us at Wellspring this October. Wellness industry professional discounts and scholarships available. Seva is the yogic principle of selfless service, of giving back. This concept is based on the philosophical belief that a greater power is what binds us all—not “God,” necessarily, but connectedness. When we work in an effort to improve that connectedness—when we care about the wellbeing of others as much as for ourselves—we are, in essence, serving that connection. 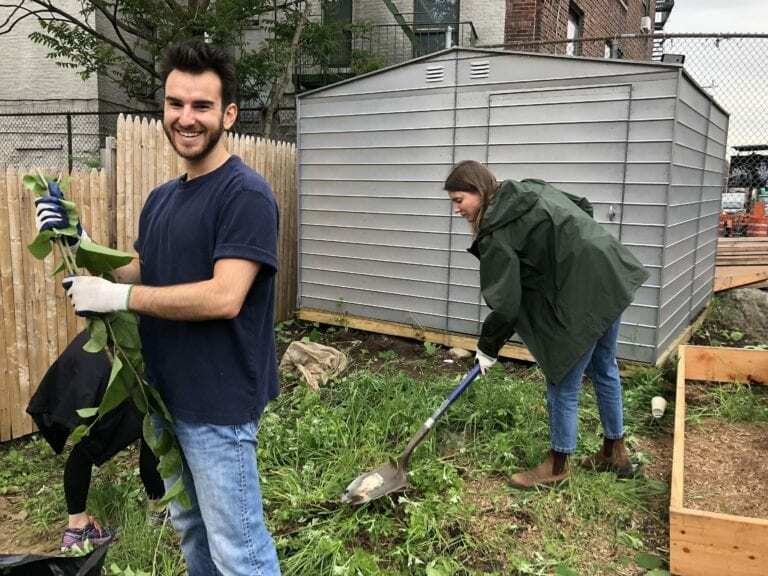 This spring, Wanderlust initiated its second-ever seva day. We believe that giving back to the community is an integral part to mindful living, and encourage our staff (and attendees!) to take the time to perform selfless service when possible. It’s not easy to walk away from a busy calendar and a crowded desk—especially as festival season was beginning—but worth it. 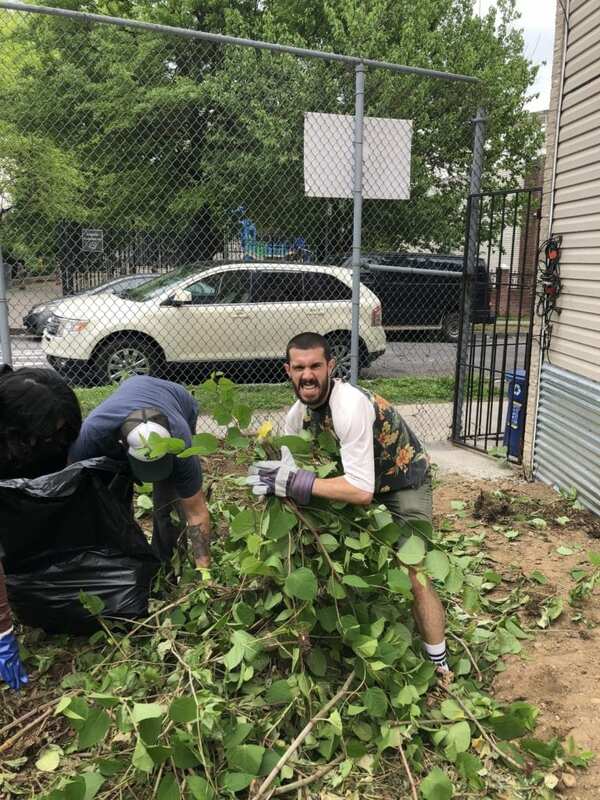 We chose to spend our day working in the Eternal Life Garden in the Morris Heights neighborhood of the Bronx. 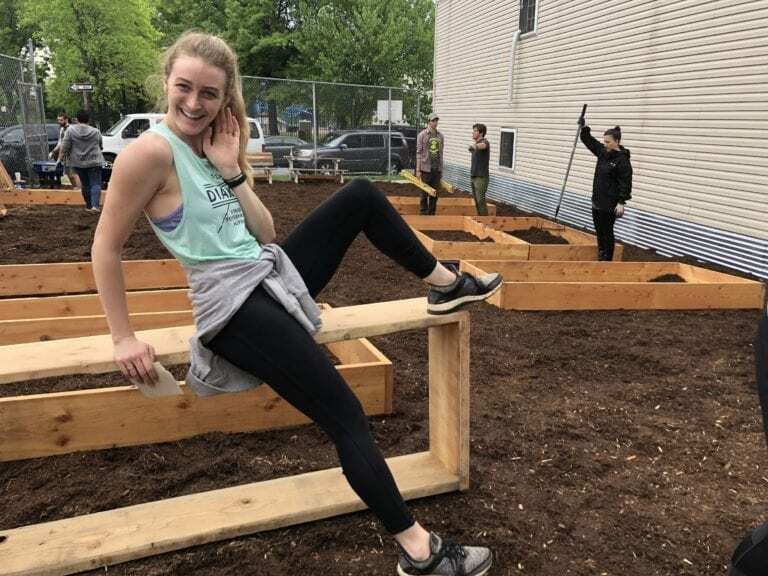 We built 10 raised beds for growing vegetables, fruits, and flowers; laid out landscape fabric to prevent weeds from growing in the garden; moved about 10 tons of mulch to cover the garden; and built two benches for relaxation. Harbo said we did an “amazing job,” but really—it was them who gave us the amazing job to do. There’s nothing better than some dirt under the nails to remind a team of how human we are. And that’s what seva is all about. Do you have seva suggestions? Share them in the comments below!